This clear and crisply written practical text will guide you through the playwriting process, from initial idea to production and submission. Created with young playwrights and those who teach them in mind, the easy-to-follow lessons are filled with practical exercises designed to hone your or your students’ skills and write better plays faster. 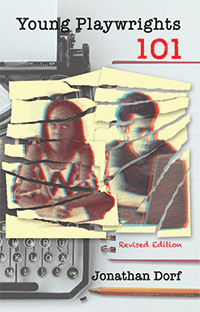 Eleven chapters cover the full gamut of playwriting: Getting Started, Characters and Conflict, Setting, Structuring Your Play, Writing Dialogue, The Art of Writing Stage Directions, Formatting Your Play, Writing the First Draft, Rewriting, What to Do With Your Finished Play, and Production and Publication. Read more...Six appendices provide additional helpful information about formatting, play submission opportunities, and even a suggested play reading list. No matter what your age or experience, if you’re looking for detailed, no-nonsense advice about the craft and business of playwriting, this is the resource for you.